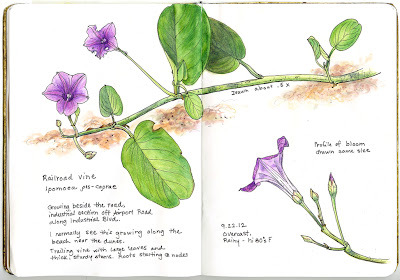 A Nature Art Journal in Southwest Florida: The Sketchbook Project completed and online! 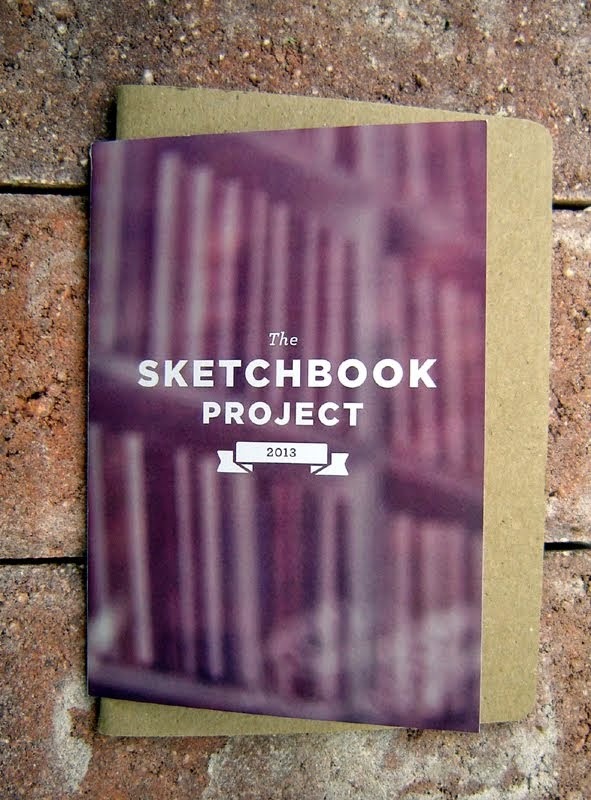 The Sketchbook Project completed and online! One of my interior pages, railroad vine. Last June I received my sketchbook for the 2013 Sketchbook project, which you may remember from my post here. I completed my book and dutifully sent it in this January for digitizing and to become part of the traveling tour. I kept it simple, drawing and writing short notes about the plants I see around me. For this book I chose some common flowers in nearby parks and in my yard; it seemed easier to complete the pages drawing the things I love. You can browse through my 32-page sketch booklet titled "A Few Florida Flowers" at the Sketchbook Project’s digital library. Just start clicking on the white arrows on the right side of the image to flip through the pages. My browser will let me use my mouse wheel to scroll the page larger as I hold down the control key, which really helps me read smaller text. You’ll notice that some of the pages are a bit wrinkled and there is some bleed-through of the scans, but all-in-all it looks good. 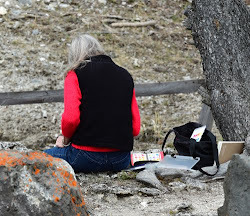 Most of the drawings were done in the field so between the wind and a few sweat drops, the paper fared pretty well, considering. I did this project as part of a group-buy initiated by my friend Stephanee (thank you! ), one of the artists in our Fakahatchee sketching group. It’s awesome to think that my little book will join thousands of others in a tour throughout the country, coming to rest in Brooklyn and available in their lending library. Thanks for visiting! What a cool project. Congratulations! I'll go check out the whole thing online. Oooh, this is so lovely! Congratulations, and what a lot of exquisite work...as always. Ever so lovely, Elizabeth! Your work carries so much charm and peace fills my soul when viewing. It must have been hard to ship this treasure off. I am so impressed by your colors which are so true it's like looking at a photograph ! Lovely work and thank you !